The Anoka aircraft. Photo from LifeLinkIII. Have you ever wondered about the air ambulances that transport critically ill patients from one facility to another? Thanks to my work at Children’s Hospitals of Minnesota, I had the opportunity to ride along with one of our local teams of flight clinicians - the fine folks at LifeLinkIII’s Anoka base. At Children’s, we receive a lot of patients from the far reaches of the state by air ambulance. We have a pad on top of the building that brings patients right to our front door and on to the emergency room or the critical care units. LifeLinkIII has eight bases around Minnesota, and I spent the day at their Anoka base, which houses one rotor wing and one fixed wing. Each aircraft goes up with a pilot and two medical crew - a nurse and a paramedic. The distinction in air, though, is minimal, as both are equal partners in providing quality critical care for their patients. When a call comes in from the communications team, the dispatchers radio the closest aircraft and depending on weather and availability, the crew hops in and gets on the way. During my visit, I was able to ride along on a call to Hibbing, MN, a town four hours north by car, or about 40 minutes by air. Within about 10 minutes, we were taxiing down the ramp to the runway, and a few moments after that we were clipping about 210 knots due north. Upon landing, the air crew is typically met by a local ambulance crew, taken to the local medical center to pick up the patient, and then back to the airport for departure. It’s a pretty efficient, highly capable operation, and the crew I spent my time with have something like 30 years experience spread across the the two clinicians and the pilot. Pretty amazing. It’s always a privilege to learn more about the systems that work to maintain the health and safety of our region’s citizens. Thanks for the opportunity, LifeLinkIII! Across the United States, in hundreds of thousands of classrooms, residential facilities, and homes, teachers, therapists, and parents are working overtime with their kids, desperately trying to motive them to do well, to make better choices, to take their meds, to take a shower, or to get up and get to school. Virtually every parenting manual, school discipline handbook, and residential behavior system is built on the idea that behavior is a matter of will, and that, if we want our kids to do better, we must engage in a grueling process of punishing children so that they learn to make better choices. The science, however, is overwhelmingly clear: challenging kids lack skill, not will. Over 50 years of research into our neurobiology has confirmed that challenging behavior is a symptom of a deficit in one or more skill areas vital to our success. Our kids already want to do well, but some of them have hard time making it happen. Below we’ll talk about the five categories of skills every child needs to thrive. These are the skills that the world around us demands we demonstrate all day, every day. While you’re reading through the list, I invite you to imagine the most challenging kid you can - maybe it’s a child you work with, maybe it’s your own child - and see if these skills ring a bell in terms of what your selected kiddo is struggling to do. Communication and language skills: the ability to communicate your concerns and needs to other people, or the ability to interpret for yourself what your needs and concerns even are. Some kids don’t know how to express their needs, while others have a really hard time assessing their needs in the first place. Some kids really have not yet made the connection between the name of an emotion and the emotion they’re feeling. Other kids just don’t know how to express their emotion (or need, or concern) in a way that makes sense. Imagine if you ended up in a country where the primary language was not your own. Imagine having no way to communicate via spoken language, and then imagine the citizens of this city placing extraordinary demands on you. Imagine someone comes up to you in this country, and issues an instruction in a language you can’t understand, then rapid-fires questions at you again in the language you don’t understand, and then punishes you when you inevitably get frustrated, or when you just don’t respond at all. That scenario isn’t far off from what many of our kids experience every day. Some kids struggle to interpret the information, others struggle to organize their responses, and others still can do both, but need more time to get it done. I train a lot of people in a lot of different fields, and one of the secret training tricks that has been passed down from generation of trainer to generation of trainer, is that when you ask a question and are hoping for a response, sometimes you’ve got to stand your ground and just wait. Eventually someone will offer an answer, even a desperately unsure one, just to make the silence stop. Processing takes time. Most of us can do it fairly quickly, but even the best of us often find ourselves needing time to process a question or an idea before providing a coherent response. The same is true for our kids. I can’t tell you how many kids I’ve worked with who will respond, immediately, to virtually every question, with “I don’t care,” or “I don’t know.” A few years ago, I worked with one young student who would say “I don’t know” even before I asked the question - any question. This kid really did know, but what she wasn’t always able to communicate is that she just needed more time to think about the question, and that “I don’t know” was often an easy shortcut out of the conversation and a trick to get the adult to help her out. How much time? Sometimes 30 seconds. Sometimes 45 seconds. Eternities, on the adult clock. Seriously. Try waiting 30 seconds in silence the next time you’re talking with a friend. Let me know how it goes. I often do this when I’m training audiences. I’ll talk about processing time, and then tell everyone we’re going to wait 30 seconds. I announce the time ever five seconds or so, and we usually don’t make it past 15 seconds before people are cracking up at the brutality of waiting A HALF A MINUTE. Have you ever misplaced your phone? Have you ever misplaced your phone more than once in the same day? The same hour? How about a simple memory exercise to demonstrate what we’re talking about. Let’s say I give you a sequence of numbers: 2, 4, 6, and 8. And let’s say I ask you, without writing them down, to repeat those numbers back to me in order from greatest to least: 8, 6, 4, 2. Pretty easy, right? How about this sequence: 1, 13, 7, 28, 14, 0, 6. This time, instead of greatest-to-least, I want you to repeat them back to mean in sequential order. Here you have the advantage of looking at the numbers, but if you pushed yourself to do it from memory, you’ve likely discovered this is a much more challenging working memory problem. At the start of the day, when you arrive at your classroom, shake the teacher’s hand. Then go to your cubby and take off your backpack; take off your coat and hang it up on the hook; remove your winter boots; put on your inside shoes; put your boots on the tray; open up your backpack and take out your homework folder; walk with your homework folder over to your carpet square - your carpet square; sit in your carpet square, remembering to use a voice level 2 or lower; open up your homework folder; take out your homework and pass it to the right; and take your neighbor’s from the left. Whew. I don’t know about you, but that feels like a lot. Even so, that’s a sequence of events that’s really, really common in our classrooms. And some kids can knock even this sequence out of the park! Sometimes you’ll get a kiddo who comes in, shakes the teacher’s hand, and then wanders off into the wilderness, never to be seen again because they can’t remember what’s supposed to happen next. You get the idea. Some kids have trouble remembering the sequence of events, while others might remember, but have a really hard time doing things in the right order! But self-regulation is also about our ability to exercise impulse control. Would you even make it the whole day? I’m not so sure I would! Impulse is our ability to filter out the really, really bad ideas for the ones that will at least keep us employed for another day. Impulse control is all about taking a look a menu of options, considering the possible outcomes of each action, evaluation the possible consequences, and then choosing the option that gets us closest to the set of consequences we’re hoping for. When we’re talking with kids, we talk all the time about impulse control, but we do it in secret code. “Make better choices” is another way of saying “use your impulse control” to go through that menu and select the best option. We already know that kids who can make good choices usually do! But we tell all kids to make better choices, even the kids who have shown us time and time again they really don’t know what goes into making a good choice in the first place! Sound familiar? Maybe you’ve had this conversation at your school, or at home with your own kid. Maybe you’ve had this conversation a lot. A lot of times, kids can tell us all about the different options they have, but in the moment, when Marcus is being a brat, they don’t have the impulse control skill to pause and really think about all those really awesome choices they described to you earlier. And when they can’t pause and take a look at their menu of options? Marcus is getting clonked again. This is all because while “make good choices” sounds really simple, it actually demands a fairly high level of a few different skills to make happen. Cognitive flexibility covers the ability to adapt to changing circumstances, the ability to move off of an original idea, and the ability to see other perspectives. When a kid tells you “that’s not fair!” a lot, you’ve got a child who is demonstrating their cognitive inflexibility. Kids with cognitive flexibility challenges show up in other ways, too. For some kids, if you do a thing for them, one way, one time, that’s the way it has to be done for the rest of time. Any change in routine, any deviation from the expected plan, is cause for major, major troubles for kids who are really inflexible. Cognitive flexibility is also the ability to see in shades of grey. Kids who struggle with this skill often see in black and white: everything, or nothing. Stop me if you’ve heard a variation on any of these": “everyone hates me,” “you always say that,” “you don’t love me,” “you just want me to suffer,” etc. The kids who invoke these messages are kids who are showing us they have a really hard time taking the perspective of other people, or even acknowledging the perspective exists. Inflexible kids may zero in on what therapists often call “negative cognititions,” or the little voices of self-doubt that we all feel, and may become immobilized while self-doubt washes over them. Inflexible kids may have remarkable memory when it comes to remembering all the times their parents didn’t follow through on a promise, and an equally remarkable inability to recall all the times their parents did follow through. Social Thinking: the ability to read the room. The ability to understand how your presence impacts other people. The ability to know when the girl you like is flirting with you, when your jokes aren’t landing, or when you’re talking wayyyyy to close to someone else. I often think about social thinking skills in terms of intent vs. impact. A kid who gets into a battle of friendly insults with another kid only to keep on rolling when the other kid starts crying may well tell you that they didn’t mean anything, and that they were just joking around, and they may well be telling you the truth. The problem isn’t that the kid is trying to ruin the lives of everyone around them, it’s that they have a genuinely hard time understanding when they’ve crossed a line and moved from friendly jabs to jokes that are just a little too pointy. When my wife moved in to my home, we had a long conversation about my unflattering practice of leaving my work clothes all over our room. It’s a habit I’d gotten into after, you know, 30-some years of not sharing my room with anyone else, and it definitely wasn’t working for my wife. Now, was I trying to irritate my wife when I left my chinos on the rocking chair? Of course not. …right? No. No, of course I wasn’t trying to irritate her. Definitely I was not doing that…. I think. Anyway, the impact was something I missed - I lost track, for a moment, of my social thinking skills, and didn’t realize that my slobby, lifelong habit was destroying my wife’s soul. The good news is that anyone, any kid, can improve their skills. Any kid. Kids who are non-verbal can improve their skills. Kids with serious cognitive disabilities can improve their skills. Kids with substance use issues can improve their skills. Kids who hear voices can improve their skills. Everyone can improve their skills. We know because we’ve seen it happen, thousands and thousands of times. There are lots and lots of ways to build skills. Here at Socorro, we use an approach called Collaborative Problem Solving, which has been used to remarkable effect in schools and homes and residential facilities across the country. Regardless of your approach, the most important step recognizing what the science has been telling us for years: kids do well if they can, not because they want to. To learn more about skill-building, Collaborative Problem Solving, or to book Ed Morales to speak with your organization, whether it’s local to Minneapolis or anywhere else, contact us. It’s a closely-guarded secret that social workers are among the highest paid professionals in the United States. The average salary for a social worker in the US is closing in on 90K/yr, which is why most social workers live in luxury and retire early. Many of our peers ride the line between Final Notice and I Get to Go Out to Eat This Month for their entire careers. The average starting salary of Master’s level social workers in the United States is right around $49,000/yr, with the bottom 10% taking in around $28,000, and the top 10% taking in an average of $79,000. We also have a lot of debt: the average debt-load of a MSW grad is between $30,000 and $42,000, although that number can vary greatly, and can even eclipse $100,000. It’s no wonder, then, that Public Service Loan Forgiveness (PSLF) is a hot-topic on social work message boards from California to Maine. Unfortunately, navigating PSLF can get real confusing, real fast. There is information everywhere, fears of that the program was far too good to be true, and, oh, and the very existence of the program has been called into question recently. With that said, it’s not all doom and gloom. PSLF forgiveness may well be as attainable as social workers were promised, but getting to the finish line demands attention to detail and understanding the options available. So here are six things every social worker should know about the current state of Public Loan Forgiveness and Income-Driven Repayment Plans. 1. PSLF is awesome... or the greatest lie ever told. We just don’t have much data on it, yet. PSLF was introduced in 2007, and requires 10 years of on-time payments to qualify. The first wave of borrowers turned in their applications for forgiveness just one year ago. So… how did it go? Great! Or not, depending on who you listen to. In the first year, more than 28,000 borrowers applied for forgiveness, yet the Department of Education extended forgiveness to just 96 of those borrowers. Ninety-six. In other words, .3% of borrowers from the first wave of applicants received forgiveness. A less than 1% success rate might seem like cause for major alarm, but a closer look at the first wave starts to tell a different story. Of the initial 28,000 applicants, 28% were denied forgiveness due to incomplete applications or missing information, while a full 70% were denied due to not meeting the basic criteria for eligibility, which the Dept. of Ed defines as borrowers who have ineligible loans, who have not yet made 120 qualifying payments, or do not have qualifying employment. Some of the borrowers in that larger 70% block have been the subject of outreach by Federal Student Aid to see if they may qualify for the Temporary Expanded Public Service Loan Forgiveness Program, which provides a marginally expanded opportunity for borrowers who may have made payments under a non-qualifying plan. So while just under 100 of the initial 28,000 applicants were approved for forgiveness, all is not yet lost. Those 100 borrowers still received $5.52 million in loan forgiveness, which is far from nothing. Now, there’s a lot of discussion about what exactly is considered qualifying employment, and you may have read about lawsuits filed against the government or FedLoan that allege borrowers have been wrongly told they do not qualify for forgiveness. The key point for qualification seems to be this: do you work for a government agency (district and charter schools count), or do you work for a non-profit organized under 501(c)3? If you do, you’re probably in good shape. If you don’t, you may not be, and really need to dig in to whether your work qualifies. If you have not yet turned in a PSLF employment certification form, you may be in for a surprise. The Federal Government has tasked just one federal loan servicer to handle every single borrower who has requested PSLF certification. That servicer? FedLoan. FedLoan is far from the only game in federal loan servicing town, and your loans may be serviced by another company, like Navient, Great Lakes, or Nelnet. While these organizations service federal loans, they have nothing to do with PSLF. When you complete and submit a certification form for the first time, your loans will be transferred to FedLoan, which can create lots and lots of headaches. When you’re first transferred, FedLoan will have no record of previous qualifying payments made, and so you’ll be effectively starting from 0, unless you request a review of qualifying repayments. If you do, FedLoan will dive into your past payments to non-FedLoan servicers to see what may have qualified for forgiveness. The process isn’t quick, however, with many, including this author, reporting that the review process has dragged on for more than a year with no resolution. All of this is to say that, if you believe you may qualify for PSLF at some point, you should send in a certification form right away so that your loans are transferred to the right servicer and so that they can be counted properly. The longer you wait to certify, the longer it will take for FedLoan to review your specific situation, and the longer you risk running astray. PSLF is complicated, and there are lots and lots of people who have discovered they don’t actually qualify after years of believing they would. The best way to avoid being one of those many people is to certify your employment early and often. Have your employer sign off on the form around your anniversary date, and any time you switch employers. Sending in the form annually betters your chances at creating a paper trail with FedLoan, and will hopefully make the process smoother when it comes time to apply for forgiveness. Now, there’s one important thing to note. While FedLoan will give you a thumbs up or down on your certification forms, it’s actually the Department of Education that ultimately certifies your eligibility forgiveness, and they only do that once, after 10 years of qualifying payments made while working for a qualifying employer. What that means is that even though you certify annually, there’s still a chance the Department of Ed will say ‘no.’ Yikes. While any on-time payment made while working for a qualifying employer counts toward your 120 PSLF payments, payments for the purposes of PSLF only really matter if you are enrolled in an income-driven repayment plan. Why? A standard repayment plan is designed to pay off the full balance of the borrower’s loans after 10 years, or 120 on-time payments. If you’re on a standard plan, you’ll discover that, assuming everything went to plan, you have zero balance left when you become eligible to apply for PSLF. So, if you haven’t already, it’s time to pick an Income Driven Repayment Plan, and you have four options: Pay as you Earn (PAYE); Revised Pay as You Earn (REPAYE); Income-based Repayment Plan (IBR); and Income-Contingent Repayment Plan (ICR). Paye as You Earn: Generally, 10% of your discretionary income, but never more than the standard 10-year payment plan. 20 year repayment. Revised Paye as You Earn: Generally, 10% of your discretionary income, with no cap on how high the payments go. 20 year repayment, if loans used for undergrad; 25 years if used for graduate school. Income-based Repayment: If you took out loans for the first time on or after July 1, 2014, this plan usually limits your payment to 10% of your discretionary income, but never more than the standard plan. 20 year repayment plan. If you took out loans for the first time before July 1, 2014, this plan caps your payment at 15% of your discretionary income, but never more than the 10-year standard plan. 25 year repayment. 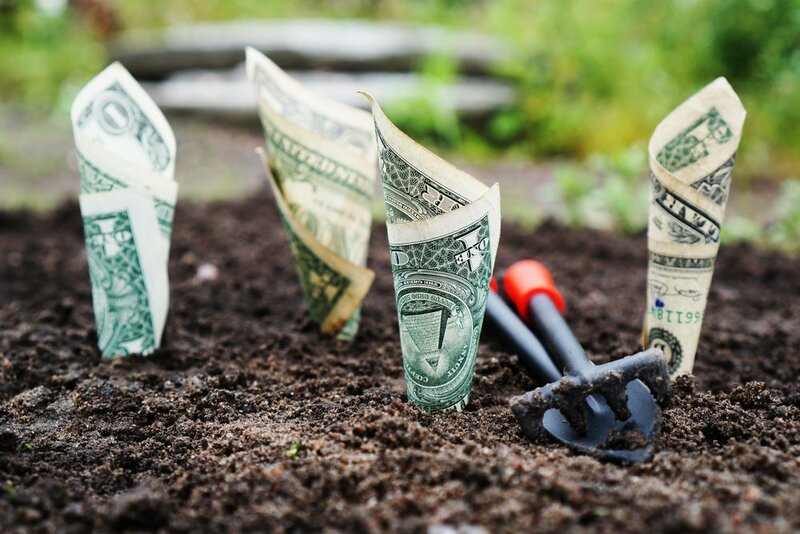 Income Contingent Repayment: Usually limited to the lesser of the following: 20% of your discretionary income or what you’d pay on a repayment plan with a fixed payment over the course of 12 years, adjusted according to income. 25 year repayment. When you apply for an income-driven repayment plan, you can alternatively ask for a specific plan by name, or you can request the loan servicer determine which plan you qualify for and then select the one that has the lowest monthly payment amount. Be careful when going this route, as mistakes have been known to happen. 5. Don’t pay ahead. Ever. To qualify for PSLF, you have to make 120 on-time, qualifying payments in order to be eligible. On-time means on-time - not ahead, not late - exactly on-time. You can’t qualify for forgiveness early, so there is no incentive to pay ahead, and in fact, paying ahead can really mess up your journey to PSLF. If you pay ahead, you run the risk of falling into “paid ahead” status. If you make an additional payment while you’re in “paid ahead” status, that payment will not count toward your 120 qualifying payments. The idea of PSLF is pretty amazing. Work for 10 years for a qualifying employer, make your 120 on-time payments, and have the remainder of your loans forgiven. And it is super awesome for folks who dedicate their careers to public service. PSLF comes with one additional major perk that differentiates it from other IDR plans: the forgiveness you receive is not taxed. For every other income-driven plan, the forgiveness you receive is taxed, which could mean a major, major tax hit when it comes time for forgiveness. So… be careful with taxes, especially if you don’t qualify for PSLF. If you have questions, you should definitely talk with a tax expert you trust who is knowledgeable about income-driven repayment plans. Income-based repayment plans and Public Service Loan Forgiveness go together like peanut butter and jelly, or mac and cheese and ketchup (it’s called cuisine, Karen, look it up). Except really, it’s a bigger deal than that: you’ll simply never reap the benefits of PSLF if you are not enrolled in an income-driven plan. On top of that, there are four different IDR plans to choose from, and choosing the right one isn’t always super duper clear. On top of that, mistakes have been known to happen, so keep a close eye on the payment calculation and double check that the plan your service has chosen for you is, indeed, the best plan for your situation. Whatever route you go, be sure to get advice from qualified and trusted financial advisors who know the ins and outs of public service loan forgiveness and income-driven repayment plans. Ed Morales, MPP, MSW, LICSW, is a Minneapolis-based therapist, writer, and trainer, and the founder of Socorro Consulting, an organization dedicated to closing gaps in quality mental health care for kids and families in the Twin Cities. He lives in North Minneapolis with his two adopted daughters, his wife, and his cat, Mocha. Does it work for us? Evaluating solutions when stakes are high. In Collaborative Problem Solving, we have what’s called the litmus test. It’s a critical part of the problem solving process, and helps us test and select potential solutions to see if they’re even worth trying. The litmus test is a series of five questions beg to be applied to each potential solution. Does it work for you (the kid)? Does it work for me (the adult)? Is it realistic or doable? Does it bring up any additional concerns that we should talk about? When can we come back and take a look to see if our solution worked? It’s important that a solution pass each one of those criteria. If a solution fails, it’s not a great solution. If it doesn’t work for the kid, it’s not a great solution. If it doesn’t work for us, it’s not a solution. If it’s not even doable, it’s not even worth talking about cause it ain’t gonna happen. Every time we generate a possible solution (and remember, any idea is an idea worth testing! ), we run it through the litmus test to see what happens. Here’s an example of what I mean…. Bedtime at our house is 8:30 on school nights. What bedtime means is that you go to your room, you close the door, and then do whatever you want. The expectation is you make your way to sleep, but on the way you might read, play some card games, stare at the wall, whatever, as long as it’s not electronics. I have a fiancee, and she is awesome. 12 agrees: she also thinks my fiancee is awesome. In fact, sometimes when my fiancee stays over, 12 has a hard time going to bed because she wants to spend time with her. One time, when my fiancee was over, 8:30 rolled around and instead of going into her room and closing the door, 12 left the door open and sat in the open doorway. Decidedly not the bedtime expectation. After a power struggle, I was able to get her into her room and said goodnight. The next thing she did was open the door and slam it as hard as she could. Woof. Now look, in my defense I was pissed off and grasping at straws and again, I WAS TOLD TO SAY THIS EXACT THING BY ANOTHER PARENT. In Collaborative Problem Solving, one of our major goals is to be clear and transparent about which of our concerns are expectations and rules address. We need to know why our rules are the way they are, because if we don’t, we don’t really know if our rules should even be rules. I have a cat, and my cat has to be able to move freely from my room to the hallway at all hours of the night, because if she can’t, she’ll be pawing at the door or, more likely, sitting on my head meowing at me until I do something. It’s meowmageddon. This is a problem because my room is next to my kid’s room, and my kid sleeps with the light on. If my door is open and her door is open, then there’s just light flooding into my room all night long, and that doesn’t work for me. Our desktop computer is right outside 12’s room. So if I’m working on it at night and her door is open, then we’ll be in this weird situation where we’re just sort of staring at one another all night long, and that’s weird. 3. If you’re sitting in the doorway, you’re not going to sleep, and ultimately the point of bedtime is to go to sleep. 1. Does it work for kiddo? Taking the door off its hinges is not surpassingly a non-starter with The Kid. First, she won’t have any privacy any more, and second… well it’s just rude. So our solution fails the first test. We’re off to a bad start. 2. Does it work for me? Well, taking the door off it’s hinges might feel great from a place of righteous pettiness, but… if my concern is about light streaming in to my room and about sitting at my computer staring at the kid… well then taking the door off its hinges is a REALLY BAD SOLUTION because then NOTHING will be blocking the light. My solution fails the second test. Oof. To be honest I don’t know how to take a door off its hinges. Next. 4. Does it bring any other issues up that we should think about? You mean aside from not knowing how to remove the door from its hinges? I mean yeah, there’s the privacy issue, the noise issue, plus won’t her stuff just start oozing out into the hallway? Also, where will I put the door? And then if it doesn’t solve the problem, where do I go from there?! Lots of new issues to solve with this brilliant solution. 5. When can we come back to see if our solution worked? Yeah... we didn't make it this far because it turns out taking the door off its hinges was a garbage solution! The litmus test is important. It’s important not only to help the kid learn to test their ideas, but to help US test OUR ideas, ESPECIALLY when we’re operating from a place of peak pettiness. Running through these questions help us get so much closer to solutions that actually work, and away from solutions that really don’t work for anyone (or solutions that work for one of us, usually the adult, and not the other, usually the kid). Ed Morales is the only Certified Trainer of Collaborative Problem Solving in Minnesota. The litmus test is a component of Collaborative Problem Solving, which has been developed by Think:Kids. To learn more about Collaborative Problem Solving, contact us, or visit our Collaborative Problem Solving page to learn more about upcoming trainings. Regulate, relate, reason: Bringing our kids back from the brink. It’s 4:55 in the afternoon, do you know where your kid is? If you've got a challenging kiddo, they might have just jumped off the bus, ready to blast into the stratosphere, seemingly set to pick a fight (or throw a tantrum) as soon as you remind them to pick up their socks. We call it Plan A - imposing our will in pursuit of our expectations. Convinced our kids are acting wantonly, we try to pull the lever of motivation, in hopes we can compel them to get their act together and get their dang socks out of the living room. Unfortunately, we’re often surprised to find that our most emphatic, best-laid Plan As don’t always generate the outcomes we want. As often as not, Plan A actual pushes our already tuned-up kids farther into the wilderness, making things worse, not better. Time for two quick dips into neurobiology and emotional regulation. The picture above is what a clinician might call the arousal curve. One of my high school students renamed it the “pissed off curve,” and I like that name better, although “pissed off” can also be “angry,” “scared,” “worried,” and a whole host of other vexing emotions. The curve works this way: as you add more stress, you start climbing the curve. Some stress is good, even necessary for growth and development. Climb up the curve and you get to what we call “peak learning,” the sweet spot where you’re pushed out of your comfort zone and ready to take on new information. Keep adding stress, and you risk running past the peak learning zone and into the wilderness - lots of stress, no learning. Dip two is a brief exploration of the triune brain that you might just remember from the days of your psych 101 or human biology classes. If you don’t have a real life human brain to look at, you can actually approximate a model of a brain by turning your hand into a fist and bending at the wrist. See? Your very own model brain. If you're looking at the image to the left, note that the thumb should actually be tucked in to the fist. That's what you get when you try to use an emoji to describe neurobiology. Down by the wrist is the brain stem. It’s the part of your brain responsible for all the automatic functions - breathing, heart rate, fight or flight, etc. The top of your hand is what we call the limbic system. The limbic system is responsible for our ability to relate to others. The knuckles of your hand model of the brain represent the pre-frontal cortex, the promised land of the brain, and the part that’s responsible for the most complex and involved processes, namely, critical reasoning. Our brains develop from back to front, from wrist to knuckles. You may know that our prefrontal cortex really rounds out its development around 25 or 26 years old, and that’s not a bad generalization. Although we retain the ability to change our brains throughout our lives, the malleability of the thing really falls off around our mid-twenties. Now we’ve got our pissed off curve and our model of the brain. Let’s put them together. Check out this video for the visual guide to this article! Let’s go back to that curve - as you add more stress you get to peak learning. Add too much stress and you blast off into la la land. What does that mean in terms of our model brain? When we get really dysregulated, we actually start losing access to the more complex areas of our brains, the parts responsible for our critical reasoning - the knuckles on our hand model. We move from “what are my options to resolving this conflict in a socially acceptable way” to “crap, I’m in danger and I need to either beat the hell out of the danger or get away from the danger.” Fight or flight. Or freeze. Sometimes dysregulation looks like kids shutting down and dissociating from the stress. Don’t forget freezing. What do you think happens to our ability to problem solve when we’re off in the boonies of our brain stem, which regulates our automatic functions that support our basic survival? It gets real bad, man. That’s what happens. Think about when we spend the most time lecturing our kids, though. A kid pops into the dean’s office and we start interrogating them about what they could do differently next time. Our daughter slams her door and we’re trying to explain why we don’t want her to slam doors. We’re nobly trying to communicate with the pre-frontal cortex, the knuckles, when it’s out to lunch and the brain stem, the wrist, is taking the messages and promptly losing them. Trying to solve a problem when our kids are in their brain stems is an exercise in futility, but boy is that invitation to futility overwhelmingly compelling. It's rough when kids blast off into the wilderness. They're lost in their brain stems at precisely the moment when adults usually want to bring the swift hammer of justice and critical reasoning down on their heads, rendering them effectively immune to learning much of anything, at least until they start back down the curve. Thankfully, most kids can wind their way back down the curve when the momentary spike in stress eases. Thankfully, most kids have the skills to ride the peaks and valleys that come with the waves in the ocean of stress and anxiety they live in for much of their lives. Thankfully, most kids can work their way out of the woods on their own. Some kids, maybe your kid, have a really hard time getting back from the wilderness. They get down in their brain stem, in the wrist of our hand model, and get stuck there. And while they're there it can be a lot to manage - you might get screaming, crying, dissociation, cutting, slamming, cursing, spitting or a combination of all of them or something else entirely (which is why we don't focus much on behavior at Socorro - it doesn't tell us that much about what's going on!). So what, exactly, are we supposed to do with dysregulated kids who have gone off into the wilderness of their brain stems and can't find the way back? Remember where peak learning happens on our curve, and remember what happens to a kid's ability to learn when they're lost in their brain stems. It bottoms out, right? We'd be wasting our time trying to engage their pre-frontal cortex when it's closed for repairs. So our first order of business is to engage the kid where they're at, and that usually means we start by working with them and their brain stems. Top down - reassurance. "You're not in trouble," "I'm not mad," "this doesn't seem like a big deal," "you're okay," etc. Disassociation - let it happen. Sometimes that's really okay, and the best thing for the kiddo. There are all sorts of ways to regulate a kiddo, and your mileage with each strategy may vary. Something might work well one day and not the next. It's cool, it happens, keep trying, and when you get them back down to earth, it's time to remind them who you are. Now that we’ve climbed our way out of the brain stem, we can get to work on the limbic system. This is where we focus on our love for the child, where we remind them of all the fun things we have planned, or the little things about them that we’re proud of. It’s where we explicitly realign ourselves with their interests so that they can feel we’re once again working toward the same goals. We're fighting the problem, not one another! Focusing on our love, by the way, doesn’t just mean saying “I love you,” although that’s a cool place to start. My kiddo loves playing mancala and watching youtube videos together. Maybe your kiddo likes cards or hugs or playing catch. Whatever it is, do that! Congratulations on your long walk out of the brain stem! You’ve covered a lot of ground, and now that we’ve got kiddo pretty well regulated and done the work to make sure they know we’re working together, we arrive back to the pre-frontal cortex where we actually stand a chance at solving the dang thing. There are lots of ways to find solutions, but my favorite is Collaborative Problem Solving, an approach that has helped our family, and my work with kids in schools, tremendously. Collaborative Problem Solving is all about finding solutions to problems that work for everyone - adults and kids alike. It also happens to be supremely well-aligned with the neurobiology of getting a kid back from the wilderness that we just talked about. If you’d like to learn more about Collaborative Problem Solving, check out this page, and if that piques your interest, know that we’re launching a brand new, 8-week session for parents dedicated to learning all about Collaborative Problem Solving this March, in Minneapolis. Whatever way you use, use it with love, and remember there’s a pretty good chance that kiddo will slip back toward their wrists/brain stems while you’re going through the process. It’s tough work to think about a hard problem, listen to an adult’s concerns, and think about solutions and stay regulated! The good. The bad. The conclusion. I have some bad news: dysregulation is contagious. If your kid is blasting off into the wilderness and you join them there, you're both in trouble and are more likely to spiral off deeper into the woods than you are to make it back home. But hey, I also have some good news: regulation is also contagious! A regulated person can regulate a dysregulated person, as long as they don't take the invitation to traipse into the woods themselves! And that's the crux of this work - kids get dysregulated a lot because they're still working on the basic skills they need to keep their business on lock. By being a persistent, mindful regulating partner and politely declining the invitation to the wilderness, we can help them learn the skills they need, though. They can get there, and we can help, and that's pretty cool. This article includes knowledge gleaned from Dr. Bruce Perry and Think:Kids, who have led the work in developing the concept of Regulate, Relate, Reason. More information about Dr. Bruce Perry can be found here. More information about Think:Kids can be found here. At Socorro, we believe that creating change in the community demands a wide array of skills, programs and talents. We also believe in mutual aid - providing support to those providing support. Each year, Socorro gives 10% of its gross income back to organizations that serve youth in and near North Minneapolis. Previous community partners have included Juxtaposition Arts, Cookie Cart, Sisters Need a Place, and Project Diva. This year, we've selected Appetite for Change, a Northside non-profit that places food at the center of their change work. From providing workshops on nutrition and food security, to reclaiming vacant lots for urban agriculture, to providing jobs and leadership opportunities for youth, Appetite for Change has been a major driver toward a brighter world on the Northside and beyond. I'm excited to announce that I am new member of the MN Adopt HELP network of therapists, a group of clinicians around the state who have been vetted and recognized by MN Adopt for their deep understanding of adoption and foster care and their expertise assisting adoptive families. For more information, or to learn more about referrals through MN Adopt, please visit the HELP website to connect to their amazing staff. At Socorro, we recognize that the nature of the work we in the Twin Cities does not take place in a political vacuum. There are all sorts of vital conversations to be had about the politics of an organization, run by an individual who is not from the community, making money off the disparities that exist within the community. The reality is that I make my living by providing support to individuals and organizations who share our belief that outcomes for our youngest community members are far from what they should be. Indirectly, I make my money off the system that disadvantages communities of color, communities who struggle to make ends meet, and communities who don't 'look like' the dominant culture. I've said before that North Minneapolis is my social work home. In 2011, I started my social work career as an intern with Edify Youth and the Academy of North Minneapolis. I had the distinct privilege of learning from and with some exceptionally powerful and knowledgable leaders in North Minneapolis, men and women of color who were generous with their patience and persistence. I've also had the distinct privilege of working with families and kids who have bold dreams for their future, audacious, ambitious dreams. Most of my work, my learning, and my time has been in North Minneapolis, and I owe much to the families and professionals who call North home. I now live in North Minneapolis, but I am not from North Minneapolis. Socorro Consulting is committed to returning 10% of its gross annual proceeds to initiatives that support youth and families in North Minneapolis. Previous partners have included The Cookie Cart, Juxtaposition Arts, Project DIVA, and Sisters Need a Place. If you know a good partner to youth and families I ought to know about, let me know. I recognize that 10% is a pittance, a drop in the bucket when compared to the level of investment that is needed to accelerate meaningful change in the communities I serve. It also does not right the injustice that allows me to be compensated for services that are only necessary because systems aren't working as well as they should be for our scholars. It is only our modest acknowledgement that things aren't right, and we owe a great debt to people we'll never be able to full repay. Much respect is due to the generous mentors, teachers, friends and colleagues who strive to live upright and push me to do the same. From time to time, I work with a family, caregiver, or child-focused professional who asks me about whether CPS can work for kiddo with this or that diagnosis. Will CPS work with kids with FASD? Will CPS work with kids on the spectrum? How about kids who have ADHD? The answer is, invariably, yes! CPS works independent of diagnosis because CPS is a technology that we as caregivers and professionals use to address challenging behavior, solve problems, and build skills. Today we'll take a look at Reactive Attachment Disorder (RAD), and whether CPS is a good fit for kids who experience attachment challenges. Reactive Attachment Disorder is a disorder that is diagnosed early in a child's life, and is marked by disturbed social relationships, a history of disruptions to caregiver relationships, and either a persistent inability to respond appropriately to caregivers, or indiscriminate acceptance of comfort and support from adults. It's a popular diagnosis, especially among kids who are involved with the foster and adoptive systems. Kids who have attachment issues are often observed to struggle to give up control over their environments, connect with caregivers, react poorly to reasonable limits, consistently regulate their bodies and emotions, build healthy social relationships, and engage adaptively in family traditions (like holidays, vacations, etc). First, let's talk about conventional wisdom - what it is and how it's commonly used to respond to behaviors associated with attachment concerns. Conventional wisdom is organized around the idea that kids do well if they want to. Under the umbrella of conventional wisdom, kids who have trouble meeting expectations are seen as unmotivated, and the solutions we as adults with are intended to produce motivation to change. Evidence, however, teaches us that kids already want to do well, and when things get hard, it's usually because kids are lagging behind in some aspect of their "thinking skills." Kids who have lots of skills can actually respond pretty well to conventional wisdom approaches to challenging behavior - things like sticker charts, paychecks, groundings, etc. Kids who don't already have lots of skills usually have a really hard time responding successfully and sustainably to these types of approaches. There are lots of reasons kids might have lagging skills. Disruptions to caregiver relationships and subsequent attachment issues are certainly things that interrupt typical skill development. Conventional approaches don't work well for kids with attachment issues for a couple reasons. Kids with attachment challenges have learned over time that caregivers are simply not reliable. When caregivers are unreliable, they're unsafe, and systems of consequences and rewards designed by unsafe caregivers are also unsafe. When the consequence and rewards system is unsafe, kids are going to be less inclined to participate in it. Disruptions to caregiver relationships also impact a child's ability to develop their thinking skills - skills like emotional regulation, being able to communicate their needs appropriately, adapting to changing environments, and being able to understand and correctly interpret social cues. As caregivers, we do a lot to model these skills and help kids practice them as they move closer to mastery. When caregiver relationships are disrupted, often it means that kids don't get a chance to practice these skills - these kids aren't lost to the wilderness, they're just farther behind. Empathize. The first step in a Plan B conversation is to empathize with the child's concern. Remember that empathy isn't endorsement, it's understanding. In this first ingredient, we're trying really hard as adults to drill down into the problem and really get a good picture of the issue from the kid's perspective. Empathy, it turns out, is really really good for kids who have attachment issues. It also, it turns out is good for everyone else in the world, but it's also great for kids who have attachment concerns. Share the adult concern. The second step of a Plan B conversation is to share the adult concern about the problem. In this step, we're inviting the child to appreciate the perspective of another person and develop their own empathy skills. Do kids with attachment issues struggle to take the perspective of other people, especially caregivers? You bet they do. Ingredient two is great practice. Collaborate. The final ingredient of a Plan B conversation is an invitation to the child to collaborate on a solution to the problem that incorporates both the child's concern and the adult's concern. In this last phase we're engaging the child's problem solving skills, but we're also asking them to again practice their empathy, to practice their perspective taking, and to practice their emotional regulation. But we're also doing more than just practicing skills - we're demonstrating to the child that we as caregivers are just as invested in the child's concern as we are in our own, and are committed to understanding and creating a solution that works for everyone. Look, nothing solves attachment issues overnight. Healing from disrupted relationships with caregivers can take years - parents who are taking care of kids with attachment struggles are invested in the long game. The invitation here, though, is to see kids with attachment issues not as a separate species of kid who are entirely dissimilar to their peers who have developed secure attachment with their caregivers, but as kids who are farther behind in their skill development. Kids with attachment issues tend to struggle similar things: giving up control, accepting limits, expressing their concerns, interpreting social cues, etc. A lot of parents with RAD kids would say, "yeah, that sounds like my kid!" But here's the thing: a lot of parents who have kids who don't have attachment issues would look at that list of things RAD kids struggle with and say, "oh yeah, that's my kid, too." A RAD diagnosis can help build a narrative of a kid's early childhood experience, and for many parents, getting that diagnosis for their kids can really validate the struggle of parenting. Collaborative Problem Solving doesn't ask us to abandon that narrative - it asks us instead to really focus in on the specific skills our kids with RAD are struggling with, and work with them to develop solutions to problems that work for the whole family. It can be a long process, but it's a process that is focused on empathy, relationship, and skill development - three things which kids with RAD often missed out on big time. Ed Morales, LICSW, is a clinician and educational consultant based in Minneapolis. For more information about Collaborative Problem Solving and it's application in schools or families, connect with us. I'm excited to be working with the University of Minnesota and the annual CEUs-on-a-Stick event this August. On August 23, I'll be presenting an introductory Collaborative Problem Solving training from 9-noon on the Saint Paul Campus, at the school of social work. It's an exciting an affordable opportunity to learn about the fundamentals of collaborative problem solving and how the approach can transform how we understand and respond to challenging kids. Usually, an introductory training would be priced at $150 or more. Because this event is run through the University, registration is just $50. The event is open to the public! You do not have to be a licensed social work professional to register or attend - families, parents, teachers, and other caregivers are welcome! For more information, or to register, please visit the event website: here. This August, Minneapolis Public Schools teachers will be invited to an introductory Collaborative Problem Solving training, the first of its kind in the district. In partnership with the summer mental health institute, MPS teachers will be able to learn more about the collaborative problem solving approach to challenging behavior and will leave with solid foundational skills and a working understanding of the skill-based approach to working with challenging kids. Collaborative Problem solving has broad applicability throughout our school systems - I'm excited to collaborate with our city's teaching staff! This training is open only to MPS staff - if that's you, check with your site administrator for more information. The training is scheduled for August 10th. Some years ago, I worked with DeNasia, a whip-smart, remarkable young scholar from North Minneapolis. Like many of the young students I work with, DeNasia had quite a rap sheep at her school - a long sequence of disruptive behavior in class followed by detentions, suspensions, and, eventually, a soft expulsion. DeNasia was also one of the most academically talented scholars in the school, and could pass the state exams that virtually no one else could. DeNasia had a lot of triggers, but the thing that really got her going was when adults came at her life, trying to redirect or admonish her without taking the time to understand the problem. When tested in this way, DeNasia would take the bait every time and respond with the surly attitude that had for so long shaped her reputation in the school. The adults, as often is the case, rarely backed down, and would escalate with DeNasia, throwing verbal haymakers at her while she threw left hooks right back until she found herself subject to the power of the adults in the building and was suspended yet again. It got so bad that mom eventually transferred DeNasia out of the school. On her last day, DeNasia got into an argument with another while waiting on the bus for her trip home. She eventually lost her cool and slapped the other student in the head, which got her pulled off the bus and admonished publicly by school administrators. While DeNasia and I waited in the office for final call on whether she would be allowed to take school bus home, she told me that teachers tended to personalize her behavior, and that she hated this more than anything. "I didn't get a chance to apologize," she told me. "All the teachers would just say that 'you always do this,' or 'you're always so nasty,' but I'm not. What about all the times I ride the bus and nothing happens? Why they never talk about that? It's like they think I don't want to have good days." 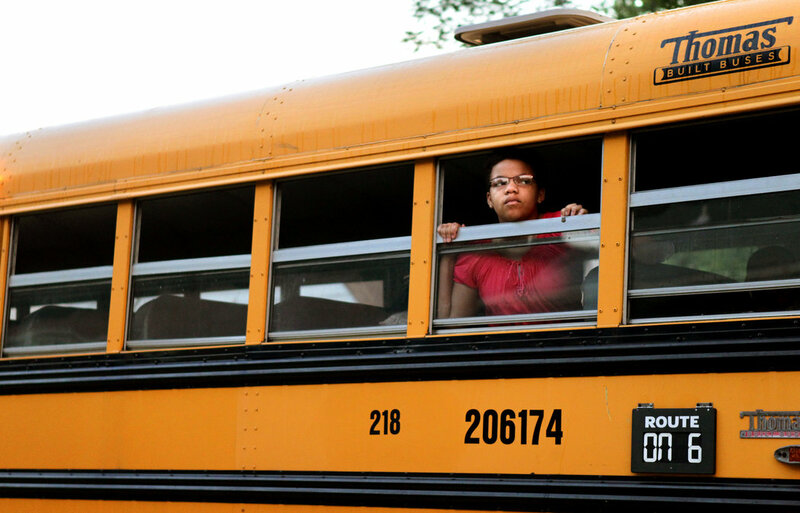 DeNasia wasn't allowed back on the bus that day, and instead spent the end of her last day at school walking a half-mile to the city bus. DeNasia left the school, and last I heard, she'd ended up in a restrictive educational setting that likely to attempted to address her behavior but but not her tremendous academic gifts. Her reputation, it seemed, followed her. Or perhaps she rebuilt it. Challenging behavior is a major obstacle to efficient classroom learning, the culture of the classroom (and home life), and even to the retention of good teachers, who frequently cite ‘challenging behavior’ as the primary reason they leave the profession. Conventional wisdom directs us to believe that challenging behavior, whether it’s homework completion, defiance, or sneaking out of the house, happens because kids don’t want to do any better. Under the umbrella of conventional wisdom, failing to meet an expectation set by adults is seen a problem of will. And because we see it as a problem of will, we work overtime to try and motivate kids do want to do better. We’ll create token economies, like paycheck systems, and punish kids who don’t comply with expectations with things like detentions and suspensions. But what if the problem isn’t will at all, but skill? What if challenging behavior is less a well-reasoned, pre-meditated attack on the learning environment and more evidence of a deficit in one or more skills kids need to succeed in the world? What if the kids who struggle the most with challenging behavior are the kids who are trying the hardest, like DeNasia, to have good days? What if kids already want to do well, but can’t because something is getting in the way? A few years ago, I had a conversation with Kieyra, an 8th grader in Minneapolis about her school’s discipline system. At that particular school, students who failed to meet behavior expectations were given something like a demerit and sent to an end-of-day detention, and, if they accumulated enough demerits, they were eventually suspended. Kieyra, who rarely, if ever, saw the inside of the detention hall, complained quite pointedly about the kids exhibiting challenging behavior - she saw their behavior as disruptive and interfering with her own education. She also noticed that the school’s approach to discipline rarely changed anything; kids would get sent out of class or suspended, and would return a few days later, wild as ever. What Kieyra is pointing to is a solution designed to solve the wrong problem. Conventional school discipline systems work to motivate compliance with expectations, which evidence shows us is not the root cause of challenging behavior. We’re solving problems we don’t have, while bigger, badder problems go unchecked. These bigger, badder problems are problems with what the clinicians at Think:Kids call “thinking skills,” skills which govern our ability to function well in the world. Language and communication skills which include things like understanding spoken directions, following conversations, and being able to express their needs or concerns, or tell someone what’s bothering them. Attention and working memory skills, skills like staying with tasks that require sustained attention, tuning out distractions, and considering a range of solutions to a given problem. An example of a working memory exercise is me asking you to remember a sequence of numbers (let’s say 4, 2, 27, 6, 1, 13) and then asking you to repeat them back to me. A more complex working memory exercise is asking you to take the same sequence of numbers and organize them, in your mind, in order from least to greatest. It gets pretty tough pretty quickly. Emotion and self-regulation skills, including skills like managing irritability and disappointment in an age appropriate way, considering likely outcomes or consequences of her actions, and matching their energy level to the needs of the situation. Cognitive flexibility skills, like handling transitions from one task to another, managing deviations from expectations, and the ability to appreciate changing circumstances that might mean a change in plans. Social thinking skills, including paying attention to verbal and nonverbal cues, seeking attention in appropriate ways, and empathizing other points of view. Think about some of the challenging kids you’ve worked with, and consider whether any of these skills groups resonate with what you saw in the classroom. Let’s consider something we love to talk about as educators: attention-seeking behavior. How many times have we sat in meetings and heard a team member attribute a challenging behavior to “wanting attention”? And it may well be true - the kiddo who launches a crayon at their peer’s head might just be looking for attention. Unfortunately, that’s where we often stop with our analysis, when the real interesting conversation is just around the corner. Instead of writing challenging behavior off as “attention-seeking,” we have the opportunity to ask the really interesting question: “why”? Why would a student try to get attention in ways that create more trouble for them? For a lot of kids, the answer to this question is that they don’t know how to get attention in appropriate ways. Other kids struggle to communicate what they actually need, and the end result is a crayon chucked across the classroom. Still other kids have trouble understanding how their behavior impacts others in their environments, and may not quite see why playing tag during math class isn’t always a great idea. Lagging skills tend to travel in packs: where there’s one, there’s probably a handful. Kids who struggle with cognitive flexibility often struggle with social thinking skills. Kids who have a hard time managing their irritation often struggle to talk about what they need. It’s not unusual to sit down to make a list of lagging skills and end up writing all of them down. And that’s okay - our kids are a work in progress, much like we are. What’s more: the process of thinking about lagging skills helps us remember that our kids are a work in progress, and a kiddo acting like a monster might just be a sign that they’re struggling to express themselves, and not a signal that they’re, you know, a sociopath. It’s one thing to suggest challenging behavior is about skill, and another thing to talk about what we actually do about the problem of skill. I’ve got great news - we can build skill and solve challenging behavior at the same time, with collaborative problem solving. Empathize with the student to gather information about the student’s concern or perspective about the problem at hand. In this first stage of the process, put on your detective hat and ask clarifying questions, make educated guesses, and practice reflective listening so you really get an idea of how the student sees the problem. And as you work hard to suss out the student’s concern, you might just find yourself surprised by what you learn. I do. All the time. Share the adult’s concern, to make sure it’s on the table. It’s important to start with the student’s concern for a variety of reasons, but once you have a pretty good idea of what’s going on for the student, it’s time to bring your concern into the conversation. As you think about your concern, think about where it’s grounded. Are you concerned about health? Safety? Learning? The student’s impact on others? Why is this even a concern for you? Sometimes when we go through the process of clarifying our own concerns, we discover that we don’t really have a clear idea of why we have the concern, and that’s important to acknowledge, too. Collaborate on solutions with the student so that their concerns and the adult’s concerns are addressed. Here, you want to start by brainstorming, and you want to start with the student. Ask them to come up with the first idea, and remember that any idea is a good idea. Once something’s on the table, you can evaluate the proposal with the student: does it work for the student? Does it work for the adult? Is it even possible? If we do it, will it bring up any other concerns? Remember than no solution is a good solution unless both sets of concerns are addressed. Try it out. Once you have a list of possible solutions, pick one and try it out. You’ll probably find that the first solution doesn’t work, but that’s okay. If a solution doesn’t work the first time around, it just means you get more time to practice problem solving skills with the student, and we can all use more practice. And if it does work the first time, great! Have some cake! To say that today’s educators find themselves pressed for time would be a gross understatement. In a world of standardized testing, performance-based incentive pay, and constantly shifting institutional priorities, teachers just don’t have a whole lot of time for, well, anything. The idea of sitting down with a student and collaborating around solutions to their challenging behavior can seem pretty unappetizing, given the demands on a teacher’s schedule. It’s important to remember, though, that durably solving a problem can never take longer than dealing with the symptoms of the problem. Not ever. Never! Investing now to solve the problem long-term will pay off big time down the road, and not even particularly far down the road. The other thing about time is this: the number one reason educators deviate from their lesson plans is responding to challenging behavior. Reflect for a moment on how often you have to stop teaching to address some shenanigans - maybe you’ve got that one kid that you have to redirect every class... or maybe every other minute. 20 seconds here, 20 seconds there, and it adds up quick. Solving the problem requires some focused time and attention, but once the problem’s solved, you’re done with it. And even better, as you get better at problem solving, and the kids get better at problem solving, the process will go faster and faster. For generations, we’ve been fighting the wrong behavior battle. Conventional wisdom has us trying to motivate kids to do better, and to that end we’ve developed all sorts of complex systems to pursue that end - token economies, pay-for-grades, detentions and suspensions and more. But our kids want to do well. They’ve always wanted to do well. And when they can’t do well, there’s something in the way. It’s never as simple as “he just doesn’t want to.” DeNasia wanted to have good days, desperately so, but there were things getting in the way. Sometimes lots of things. The sooner we can focus our attention on building skill instead of motivating compliance, the sooner we can become even more powerful forces for positive transformation in the lives of our young people. Trauma is everywhere in our schools. Studies of adverse childhood experiences, which ChildTrends defines as "potentially traumatic events in a child's life that can have negative, lasting effects on health and well-being," indicate that these experiences are all-too frequent. Broken down into categories like divorce; physical, emotional, and sexual abuse or neglect; mental illness; substance abuse; domestic violence; and parental incarceration, researchers estimate that between 44% and 66% of children in the United States have experienced at least one traumatic event in their lives. That's as many as 2 out of every 3 kids. The prevalence of ACEs in the lives of our children has tremendous implications for the work we do as educators, healers, parents and advocates. High ACE scores are linked to everything from poor health outcomes to increased instances of challenging behavior to higher rates of suspension and expulsion to increased likelihood of being evaluated for special education services. Historically, schools and other child-focused organizations have done a poor job of responding effectively to the trauma histories our children carry with them. In tepid defense of systems everywhere, responding to trauma can feel really overwhelming. The manifestation of trauma in our kids can really challenge the ability of our systems to juggle what feel like mutually exclusive priorities. And yet we continue to learn that little work can be done if trauma is not addressed before, or at least in concert with, other learning priorities. The experience of trauma can invade so many areas of our children's lives that it becomes difficult or even impossible to attend to things like algebra, humanities, or even waking up on time. If we're going to do better for our kids, if we're going to disrupt systems of education to provide better, brighter futures for our scholars, we must do a better job of bringing trauma to the forefront of our work with young people. Thankfully, the work of healing doesn’t require years of training, advanced degrees, or even specialized knowledge. Repair begins with five simple steps, which every teacher, caregiver, and child advocate can begin to practice right now. These steps aren't limited to adults, either. With patience, pacing and coaching, we can teach these skills (or maybe, more accurately, refine already-possessed skills) to scholars so that they can be better equipped to respond to the world around them. We begin the work by practicing curiosity. The first question we ask ourselves and our scholars is, "how did we get here?" How do we understand the pathways that have led us to this moment of turbulence, darkness, or dysregulation? Albert Einstein famously said, "If I had an hour to solve a problem, I'd spend 55 minutes thinking about the problem, and 5 minutes thinking about solutions." So much of the work we do with trauma involves slowing down and holding an experience; by approaching the work with curiosity, we can begin to create the space that allows us to move more slowly and more intentional. Curiosity supports the scholar to do their work, but it also makes space for us to do ours. An axiom from the world of collaborative problem solving is that our understanding of a problem drives our solution. School staff are often pressed to find solutions to challenging behavior and other crisis situations, and yet we typically spend precious little time thoroughly investigating the problem itself before grasping for possible solutions. Curiosity reminds us to walk through hard moments more slowly, to be more observant, and to be more mindful of all the elements, experiences, triggers, and beliefs that have led us to this moment. Starting with curiosity also allows us to begin our work by aligning with our scholars. Time and time again, scholars report that what often hurts the most when they're in crisis is that so few adults take the time to understand where the scholar is coming from. So many of our scholars experience moments of acute stress only to see well-meaning adults spring into action, desperate to mine solutions, often without really understanding the problem that they're trying to solve. Finally, curiosity helps our scholars explore the trigger that has brought them to the moment of intense turbulence in partnership with a regulating adult. With practice, we can model curiosity and teach our scholars how to be mindful of the world around them. Slow down. Ask questions. Listen to the answers. Ask more questions. Effective trauma response places demands on our time and resources that often activate our own stress responses. When we lose our patience, we can't be good regulating partners to our scholars: perhaps you've witnessed the tragedy of an adult who engages a scholar in crisis only to further trigger and escalate the scholar, perhaps you've been guilty of perpetuating that cycle yourself. Certainly I can look back through the years and pick out more than a few moments where my response to a kiddo, who in hindsight was obviously hurting and seeking a lifeline, makes me cringe today. The turbulence that our kids experience can be a confusing, scary mess of thoughts, emotions, and physical responses. Engaging with a scholar who is dysregulated can be exceptionally challenging: they may lash out, figuratively, with their words or tears; or literally, with their hands and feet. They may say things or do things that feel to adults as a deeply personal and targeted attack. Scholars in crisis are capable of actions that can feel wildly incongruent with the image we've crafted of them. It's tough work for us as regulating partners, but so vital to the wellbeing of our scholars. As difficult as being a regulating partner can be for us, for all the barbs and arrows we may be have to dodge and absorb, the experience of intense dysregulation is much, much worse for our kids. Being a regulating partner requires immense patience, patience to wait out the storm and its attendant waves, patience to search for the right questions to practice curiosity, and patience in working with the scholar to work toward solutions. The good news, if there is good news, is that even without intervention and support, a scholar will regulate on their own, eventually. The tough news is that even with an effective regulating partner, regulation can take a while, sometimes a really long while. The tougher news is that, while a scholar is on their journey back from the wilderness, they can sometimes be really destructive, setting fires along the way that are hard to put out and hurtful to staff, peers and community. It's our test to see through the chaos and understand it for what it is: a response to a stressful situation that is born of a history with trauma. An effective trauma response also demands our flexibility. Sometimes, when faced with intense turbulence, we as adults can get a little stuck, too. We can find ourselves digging into untenable positions or falling back to responses that our better selves just know won't be effective. We get overwhelmed too, sometimes. I see schools and adults struggle with their own flexibility a lot. We often work with scholars in larger systems: schools, after school programs, community spaces etc., all of which have their own culture and structure and are usually organized around some goal that takes persistence and time to get to. Trauma histories can interrupt progress toward these goals, and can challenge our very ability to move toward our organizational objectives. Intense turbulence forces us to answer difficult questions about pursuit of a goal (say, a high ACT test score) vs. effective response to trauma. The rules of a school may reasonably require that all students sit in their desks and face the teacher. For a student with a trauma history, sitting with their back facing the door may feel wildly unsafe, as might sitting in the middle of a group, or on the edge of a group. Punishments like demerits, detentions and suspensions are also often triggering, and, incidentally, are the number one antecedent to challenging behavior. A student with a trauma history may require a few extra minutes to transition, or access to a bathroom when it would not normally be allowed, or the opportunity to wear a hoodie when the uniform code forbids it. Think of it this way: the experience of trauma strips our scholars of their power, sometimes completely. When triggered, a student with a trauma history can relive the experience of being powerless, which is terrifying. Creating flexibility restores some power. At every school I'm at, I tell students, "here, we make sure you get what you need." It's a promise to pursue opportunities to restore power and build mastery, and also invites us to be creative in how we address the varied needs of our scholars, who are poorly served by one-size-fits-all systems. "What do you need right now?" I ask it so often that sometimes I feel silly. When I begin the work with a student, I might start with this question, just to see where they're at (don't be surprised with the standard "I don't know" response, but use it as a measure of progress). When I don't get anywhere, I might shift direction back to being curious about what brought us to this moment, and then revisit the question again a few minutes later, "okay, what do you think you might need right now?" We always want to give the scholar the opportunity to define what might be helpful for them first, before we chime in with our ideas. You can get some ideas that might seem pretty goofy, from going to the bathroom, to running laps on the stairs; to ideas that might challenge our flexibility, from pulling a sibling or peer out of another class for a quick check-in/hug to helping out at a lower grade's recess; and sometimes the ideas just aren't feasible ("no, we probably can't go get pizza right now, sorry buddy."). But still you want to give them the first shot at coming up with a next step, because it helps them build that ever-vital problem solving skill. If your scholar gets stuck, it's no problem. We can offer ideas that might help: going for a walk, playing some basketball, coloring, listening to music, etc. As we do the work with the scholar, we'll get better at knowing what's worked before and what might work again, and we can better help our scholars remember their tools for themselves. The experience of trauma can lead to all sorts of bewildering things, including distortions of space and time. When activated, you may find that a student starts to perseverate, to focus on some slight or injury that seems to have long since passed. You may find that a scholar focuses forward and becomes stuck imagining what ill may befall them or their loved one in he future. You might find that a scholar bounces around in time - worrying about things that have happened while also being fearful of things that might happen. It can get confusing on the outside for us. It's worse for our scholars. Through it all, we can support regulation and healing by staying in the present moment: what does this scholar need right here, right now, to come back from the wilderness? Staying in the moment also helps us create space to simply be. It's tempting to solve problems quickly, but sometimes what is required of us is to respond to challenges slowly so that we can hold the emotional and physical responses and learn to manage them and so fear them less. As my mentor, Katie Nissly, has said, the work of many of our scholars (and of us as adults!) is to learn to have a big feeling without freaking out. Sometimes that means being present in our fear, our hurt, our worry, etc. Student: "I just don't know how to control it - I feel like I want to stop cutting, but I just get this idea in my head and I can't." Caring adult: "Yeah, I hear that - cutting is something you're trying really hard to move away from, but it's tough because cutting is also trying really, really hard to be in your life." Student: "Yeah, exactly." Or maybe, "No, it's not cutting I think about but all the mistakes I've made and they make me wonder if I'm good enough for anyone." Caring adult, "Oh, I see - I'm sorry, I think I misunderstood you. It's not that cutting has control over your life, but it's this wondering about who you are and what your value is that gets in the way." Caring adult, "Thanks for helping me understand that, it feels really important that I get it right." Reflective listening is a challenging skill to master. I don't really know if I've done it justice above, but the idea is to reflect the content and the feeling of what the scholar is saying to you, without judgment or any attempt to solve the problem being expressed. It helps us check things out, opens the door to curiosity, and helps our kids feel like they're being heard (because they are!). It's okay to guess wrong, like in the example above, because it gives the scholar the opportunity to correct our understanding and guide the process to a more effective place. The part about no judgment is really important, and so is the part about not trying to solve the problem right away. This process is about exploration, about meeting the scholar in the wilderness and walking with them so that they don't have to walk alone. It's about patience. Reflective listening is a really important regulating tool for our scholars. When we show a scholar that we're working hard on understanding where they're coming from, we signal to them that we are trying to work on this thing with, instead of opposition to, them. We help them feel safe and secure, and that helps them on their journey back from the woods. The final of the five skills is less a practical skill and more a principle that helps us respond effectively and compassionately to the manifestation of trauma that we see in our kids. By learning more about how trauma affects brain development, learning, and the body, we can be better prepared to address the darkness that permeates our world. So there you have it, five things we can do right now to respond to trauma. As always, this is meant as a primer, as a guidepost to inform the work we do in and out of classrooms with our scholars. It is not meant to replace quality training or consultation with a professional practitioner, nor are the five steps meant to replace traditional therapy or trauma work. If you have questions about the work, seek answers. Knowledge is the intervention: if you have questions, seek answers; join with others on the same journey and form a trauma-focused learning group. The work is good, but the work is hard. Don't do it alone. Much respect to Dr. Anne Gearity, whose knowledge of child development and trauma seems to extend beyond the known universe, and whose research and teachings are responsible for the "five things," and have greatly influenced my work. Thanks, too, to Katie Nissly, for her persistent and patient guidance and wisdom. Interested in training or consultation on trauma-informed classrooms? Let's chat.